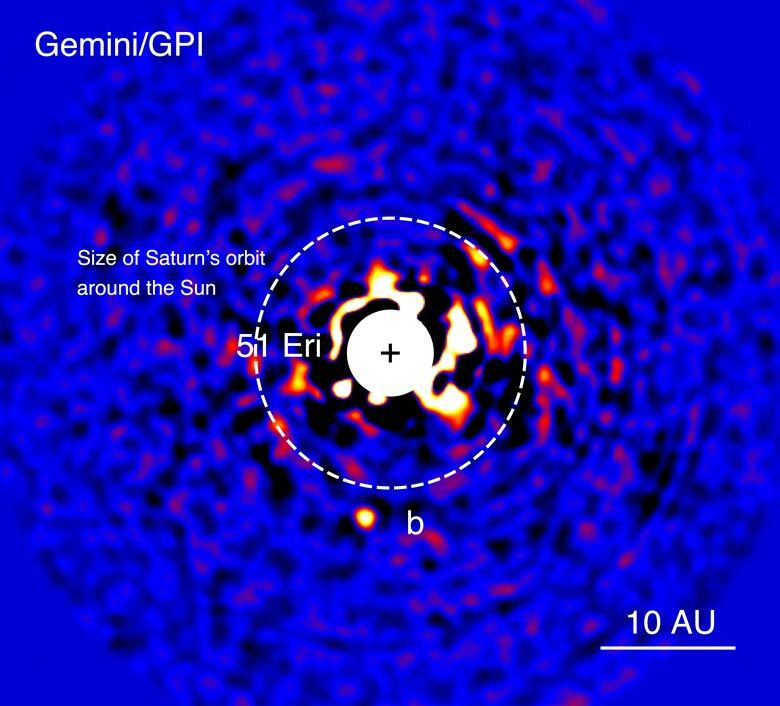 The Gemini Planet Imager, a new telescopic instrument designed to find, image, and study faint, young planets orbiting bright stars, has discovered its first exoplanet: a young Jupiter-like planet called 51 Eridani b which orbits the star 51 Eridani, about 100 light-years away. Thought to be similar to a younger version of Jupiter, it should help astronomers learn more about how planetary systems form. GPI, installed last year on the 8-meter Gemini South Telescope in Chile, is operated by an international team of scientists led by Bruce Macintosh, a professor of physics at Stanford University and member of the Kavli Institute for Particle Astrophysics and Cosmology. 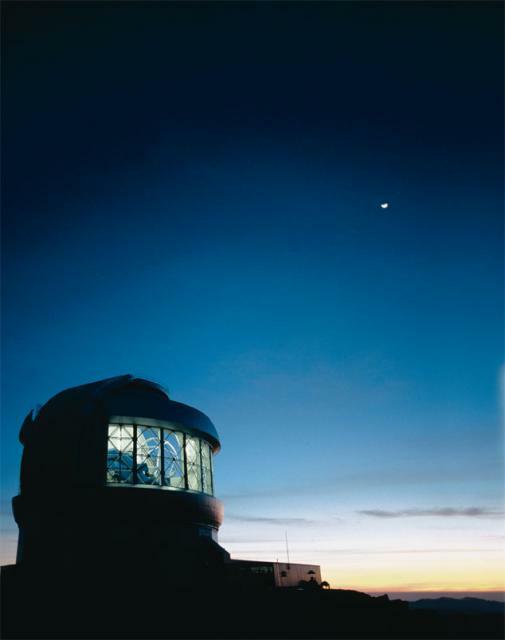 In the future, GPI may also be used at the twin facility Gemini North, on Mauna Kea, Hawaii. The new results have been published in the current issue of Science. 51 Eridani b is the first planet to be imaged by GPI, but about 100 other possible exoplanets have been found so far orbiting young stars. The newly found planet was first imaged on Dec. 21, 2014. Unlike the Kepler Space telescope, which looks at planets transiting their stars, GPI searches directly for the light coming from faint planets by blocking the light coming from the stars. The light from 51 Eridani b is more than 3 million times fainter than its star, but still easily detectable by GPI. From that, GPI can determine a planet’s mass and composition. “This is exactly the kind of system we envisioned discovering when we designed GPI,” added James Graham, professor at the University of California, Berkeley, and a project scientist for GPI. Younger planets like this are easier to detect directly, since they are still radiating more heat leftover from their formation, and 20 million years is young on a cosmological timescale. 51 Eridani b orbits a bit farther from its star than Saturn does from the Sun, and is approximately twice the mass of Jupiter. It is the lowest-mass exoplanet ever imaged directly so far, being half or less of the mass of other similar young planets discovered to date. Being still young with excess heat, it is also hot – about 426 degrees Celsius (800 degrees Fahrenheit) – but that is colder than the other young exoplanets found, which average around 648 degrees Celsius (1,200 degrees Fahrenheit). The planet is also unique in another way: its atmosphere contains the most methane ever seen so far on an exoplanet, similar to planets like Jupiter and Saturn in our own Solar System. Other Jupiter-like exoplanets found so far have only had faint traces of methane in their atmospheres. It should be noted that this is primordial methane, leftover from the formation of gas giant planets, and not the kind of methane we have on Earth (and possibly Mars), formed by geological processes and biology. Being similar to what scientists think Jupiter was like in its younger days, a model of Jupiter in its infancy, it is thought that 51 Eridani b may continue to evolve into a planet quite similar to the Jupiter we see today. This would help scientists understand how such gas giant planets form and evolve. 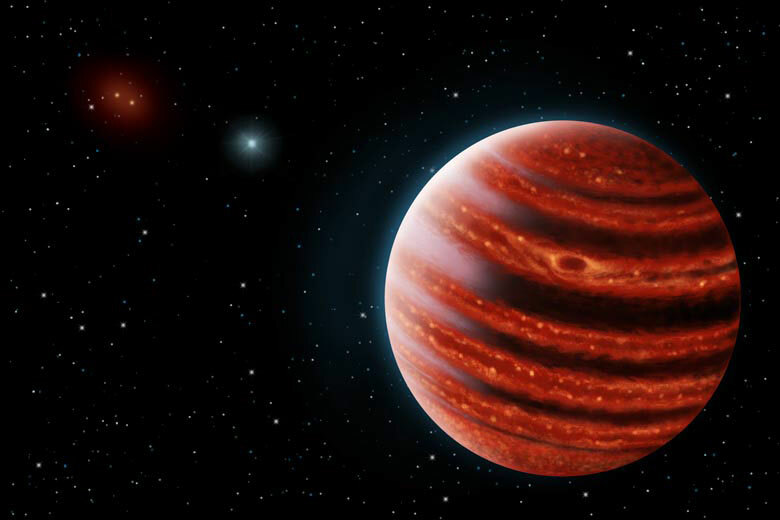 The discovery of young exoplanets like 51 Eridani b will help scientists to understand how other Solar Systems form; these “young Jupiters” are hotter than was expected, however, meaning they might have formed much faster than previously thought. That kind of “rapid” formation may only result in gas giant planets, while a slower formation process will create rocky planets like Earth. Finding Solar Systems more similar to ours would be an interesting and important discovery; of the many exoplanets discovered so far by various space and ground telescopes, most are in systems markedly different from ours, with many “super-Earths” being discovered, for example, which are lacking in our Solar System, as well as giant planets closer in to their stars, the opposite of our Solar System. These differences can provide clues as to how and why our own Solar System evolved the way it did. GPI will produce the first comprehensive survey of giant exoplanets in the region where giant planets exist in our Solar System – from 5 to 40 astronomical units radius. 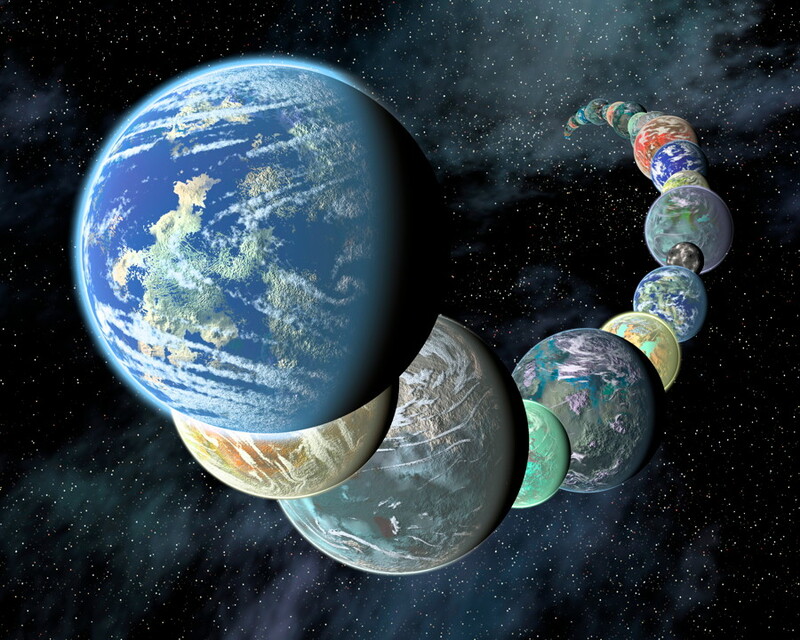 Dozens of these exoplanets will be bright enough for high signal-to-noise ratio spectroscopy, moving the study of exoplanets into the realm of detailed astrophysics. GPI has been built by a consortium of U.S. and Canadian institutions, funded by the Gemini Observatory, which is an international partnership comprising the U.S.A., U.K., Canada, Australia, Argentina, Brazil, and Chile. The GPIES campaign is partially funded by NSF, NASA, the University of California, and the Laboratory Directed Research and Development funding at the Lawrence Livermore National Laboratory. 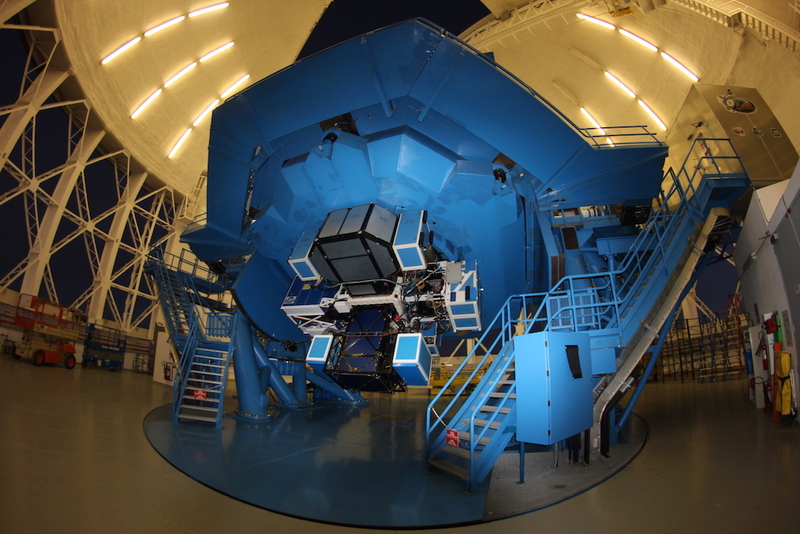 More information about the Gemini Planet Imager is available here.